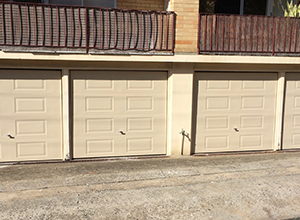 All Style Doors supply and repair Tilt-a-doors in the Macarthur region, Parramatta, Liverpool and throughout Sydney’s West & South West region. Tilt garage doors have a single solid one piece tilting panel and pivoting arms at both sides of the garage door opening making tilt doors the most versatile of all garage doors due to the minimal clearances required for installation maintaining the maximum of an already narrow opening. Tilt Garage Doors are manufactured on a solid steel frame and can be clad with a variety of material options and designs.